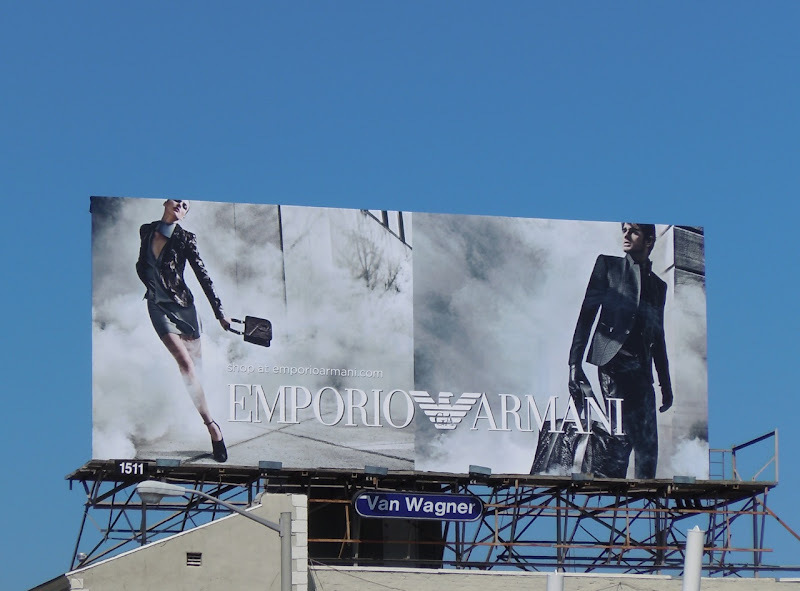 Daily Billboard is loving the super-sharp styles of these Emporio Armani billboards along Sunset Boulevard. 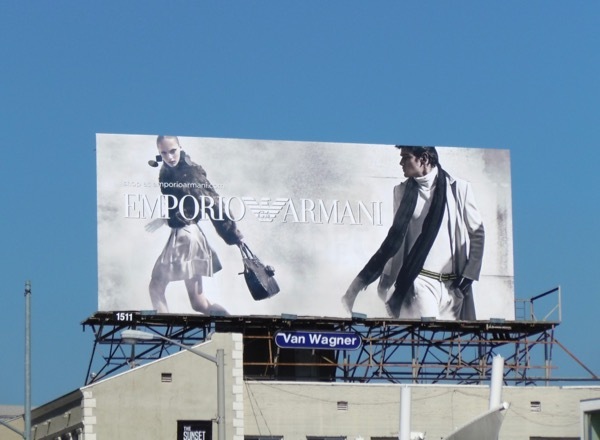 In their Autumn/Winter fashion campaign, it looks like their gorgeous models are getting ready to board some luxury steam train of a bygone era dressed in their finest apparel. Mind you it always seems a bit incongruous to see people wrapped up in coats, gloves and scarves whilst living in the Golden State of California, where the sun pretty much shines all year round. 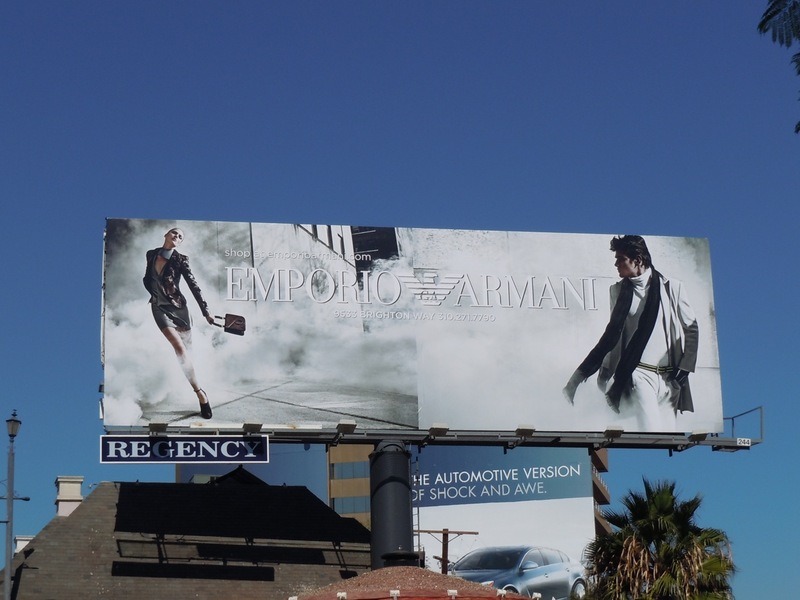 These fashion billboards have lots of drama and were photographed on August 9, September 3 and September 9, 2010, respectively.